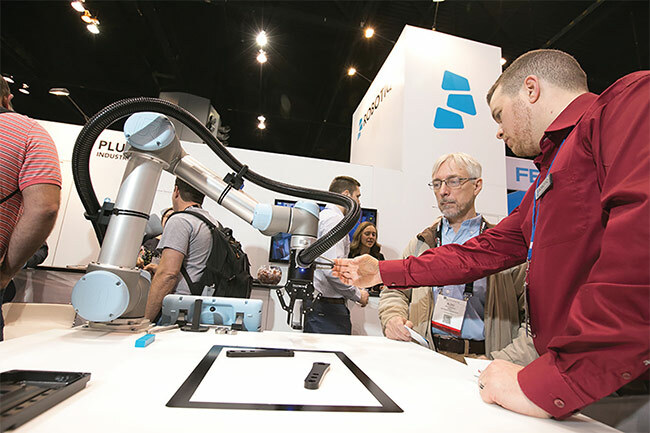 North America’s largest event dedicated to recognizing trends in the automation industry, Automate 2019, returns to Chicago’s McCormick Place April 8-11 to showcase leading-edge technologies and innovative solutions in robotics, machine vision, artificial intelligence (AI), motion control, and more. The theme this year is “Win the Future” and will explore how automation assists companies to succeed in a technologically fast-paced world in which technologies such as AI, the Industrial Internet of Things (IIoT), and machine vision are rapidly changing modern manufacturing. 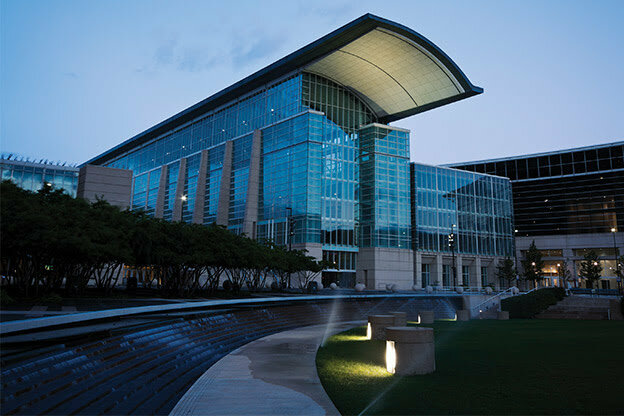 The biennial show and conference is sponsored by the Association for Advancing Automation (A3), a global advocate for the benefits of automating. 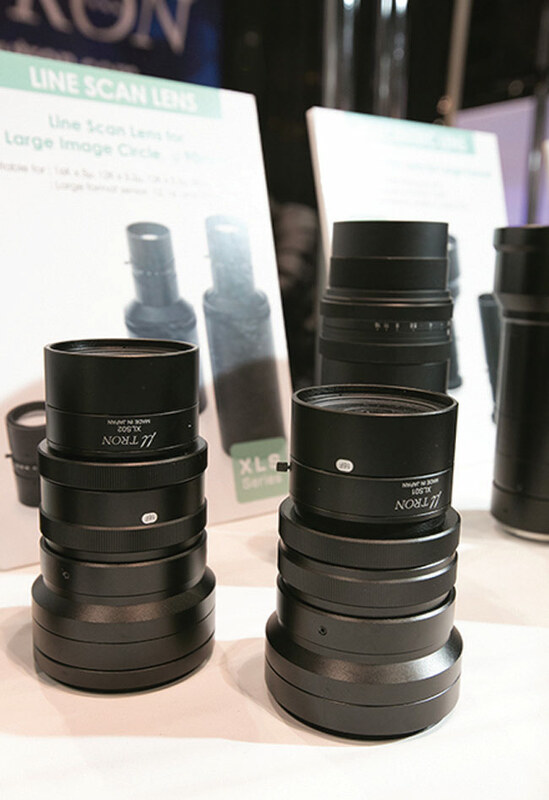 More than 20,000 attendees from 80 countries are expected, along with over 425 exhibitions by leading manufacturers and systems integrators from industries such as robotics, machine vision, metrology, and safety technology. The Launch Pad Startup Competition is a highlight of the show. 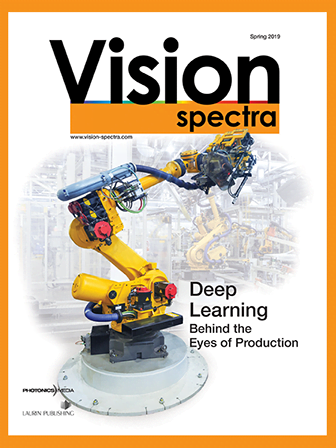 The competition searches for startup companies in the automation, robotics, motion control, and machine vision fields — those that were founded in the last five years, have raised less than $5 million since creation, and are not affiliated with a larger group. Approximately 12,960 people attended Automate 2017. Courtesy of Automate. The conference will feature three keynote presentations during the week. “Blockchain Technology for Supply Chains” on April 8 will be presented by Karim R. Lakhani of Harvard Business School. Founder and co-director of the Laboratory for Innovation Science at Harvard, Lakhani will discuss how incorporating blockchain technology into operations affects transparency and flexibility, and results in a more efficient supply chain. On April 9, Reshma Saujani, founder and CEO of Girls Who Code, will present “Closing the Supply Chain Gender Gap.” The talk will discuss the gender imbalance in the manufacturing and supply chain industry. Saujani will provide practical strategies for closing the gap and increasing the number of women in tech industries. Entrepreneur Marcus Lemonis, CEO of Camping World, will present “The Three Keys to Business Success — People, Process, Profit” on April 10. The presentation will detail strategies to drive growth and improve business processes by following Lemonis’ three key principles. More than 500 leading manufacturers and systems integrators are registered as exhibitors for 2019. Courtesy of Automate. Basic and advanced courses for AIA’s Certified Vision Professional (CVP) certification will be offered during the conference, taught by experienced industry professionals. Additionally, attendees will be able to receive Certified Motion Control Professional (CMCP) training by the Motion Control & Motor Association (MCMA). Participants learn about the newest developments. Courtesy of Automate. 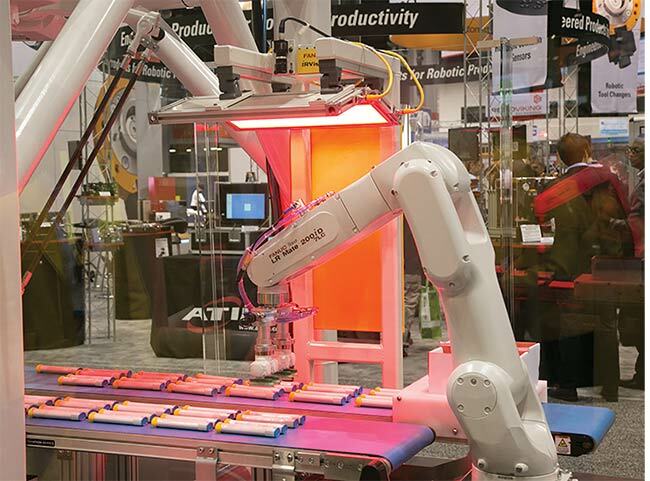 Automate 2019 will host the 51st International Symposium on Robotics (ISR 2019 Americas), sponsored by the International Federation of Robotics (IFR), an event that will allow participants to learn about the newest developments in robotics and other automation technologies covered at Automate. The Robotic Industries Association (RIA) 2019 Joseph F. Engelberger Robotics Awards in the categories of Leadership and Education will be presented at a gala dinner on April 10. 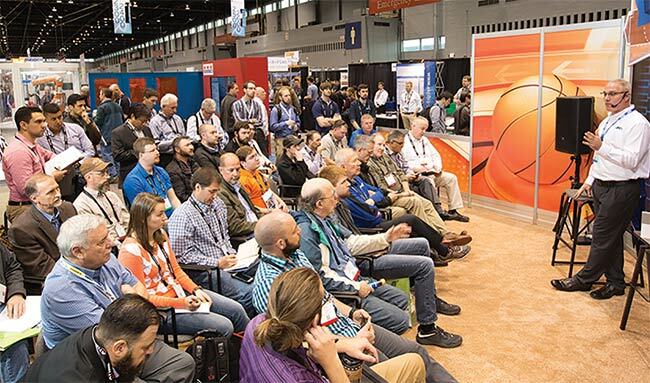 Automate attendee badges will grant access to ProMat 2019, North America’s premier material handling and supply chain solutions show, also held at McCormick Place. For more information about Automate 2019, visit www.automateshow.com.